Our Story Gardenland USA - Let us help you improve your environment! Our story spans 2 generations of Nursery professionals. Raised to be, and help others be, stewards of the wonderful landscape all around us. Our story starts in 1961. in the years since we have been blessed to be able to help our customers be the stewards of their personal environments. Providing our customers with the plants, bird feeders and other garden products that enhance their little, or not so little, pieces of ground for over 50 years has been our company’s mission. Most of the images you see here were taken around our nursery or in the yards and landscapes of our long time employees! At Gardenland we care about and value the same things you do. A nice little piece of ground, with beautiful trees, bushes, small fruit plants, vines and roses that we nurture and take pride in. The fragrance from the garden taking us back to a time and place long ago. The fresh baked raspberry pie cooling in the window that we made from berries we grew ourselves. The bird feeder hanging from the tree next to the deck that brings us lovely visitors with a song to sing us. 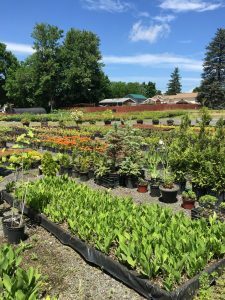 While we’ve been in the nursery business for over 50 years, This website is a new venture for us. Please take a moment to browse, hopefully you’ll see something of interest. Please bookmark us and check back from time to time as we continue to add more items. We hope to see you in Gardenland!